It’s still been another fantastic year in the allotment garden. There were extremes in 2018. The ‘beast from the east’ dumped it’s cold white load over much of the UK in early spring and the early summer provided a 12-week heatwave. The plants froze and the plants frazzled. There’s been plenty of colour and crops and wonderful experiences too. 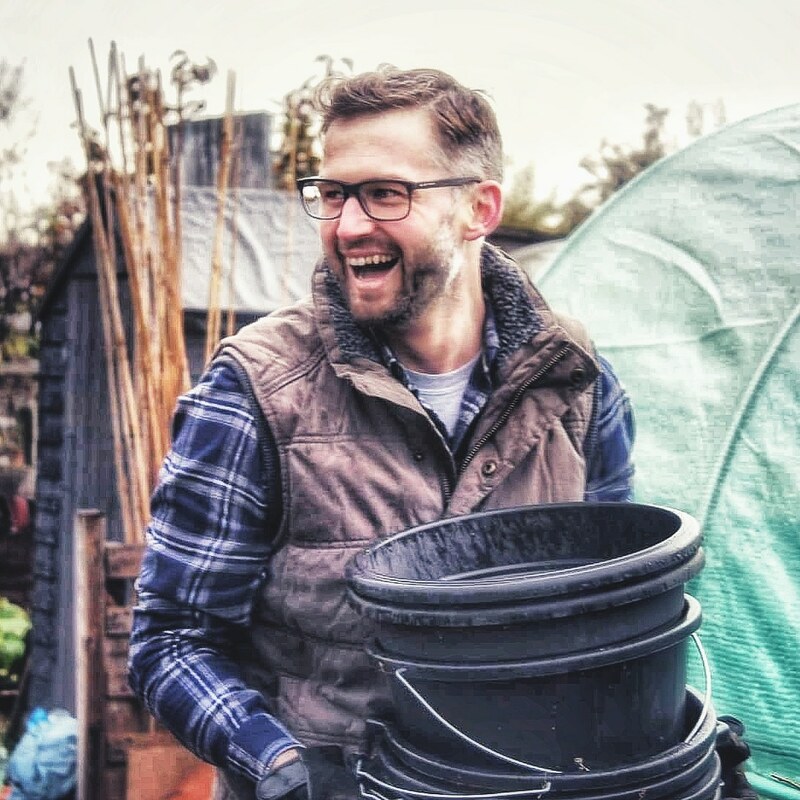 I believe reflection is an important component in all of life’s little adventures and before I move forward into a new and exciting year, join me as I remind myself of what the allotment year had to offer. Soul soothing parsnip soup and a hint of gardening with chitting potatoes and sowing sweetpeas. Wrapping up against the heavy snow from the beast from the east. Green leaves on bush raspberry and the chillies put on some height. Spring finally arrived. Seedlings poked through, the shallots flew into action and I attempted Jedi mind tricks to get the rhubarb to grow. The Jedi magic worked, the magnificent sight of the first radishes and the peas looked perfectly pleased in their home. The heatwave arrived but so did the carrots and early potatoes. Incredible six foot ‘Champion of England’ Peas, the colour of the Calendula matched the summer sun and wonderful year for the onions. The first crop of tomatoes, the Dahlias hooked me with their blooms and the garlic crop impressed. Colour in all shades. Deep purple ‘Bulls blood’ beetroot, sunshine pompom dahlias and an early crop of the delicious mini pumpkin ‘Oranagita’. Preserving the super shallot harvest, Cinderella wished for a carriage via the ‘Porcelain Doll’ Pumpkins and planting elephant garlic for the new year. The dahlias finally give up the ghost but the golden sunrise over the allotment had me waking up many an early morning just to experience it. Disaster struck but there was still colour and crop and stunning delicate paperwhite daffodils to ease my pain. Thank you so much all of you for joining me, reading my ramblings and making 2018 an incredible year. Happy New Year. I wish you a very edible and colourful gardening 2019. Such an uplifting post…right up until the very end. Well, you certainly captured the joys and pain of gardening. Thank goodness you’ll have time to put everything to right before spring arrives. Have certainly enjoyed following your season. Keep those spaces sharpened! Wow, I missed a lot. That rhubarb must have been before my time. I have grown only one cultivar. I do not know what it is. I have grown it since before I was in kindergarten. I think it is the common and old fashioned ‘Victoria’. Yes! I know of that one. Good taste? looks like you enjoyed the year! Oh no, sad end to the polytunnel. Is it at all salvagable; amazing what can be done with duct tape! Make sure you dig in the cover.